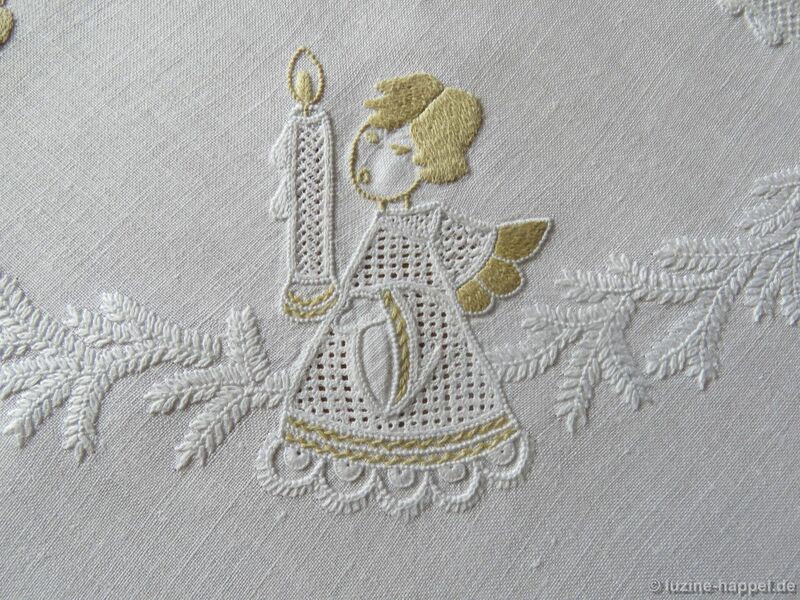 Angels with candles are the focus of this wreath designed for a tea cloth. The design is by Irmgard Mengel and was embroidered by Helga Schäfer. 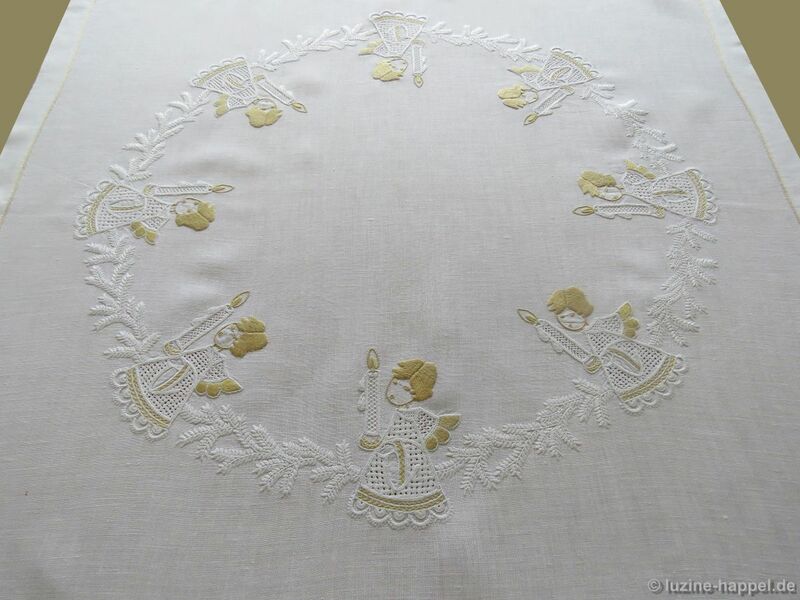 The design has a diameter of about 55 cm and was stitched on linen with a 16/cm thread count. 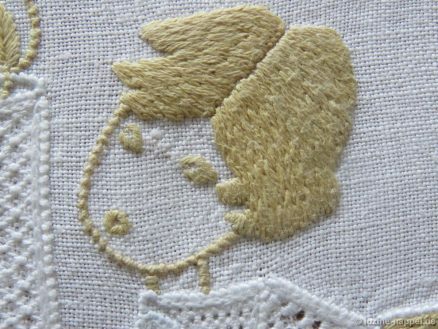 The hairstyle and some other stitches were stitched with 2 strands of 6-ply stranded cotton (Anchor colour 874). The angel on the straight of grain gets a dress filled with Double Back stitches (Openwork Pattern Samplers) in a grid cut 1, leave 3. 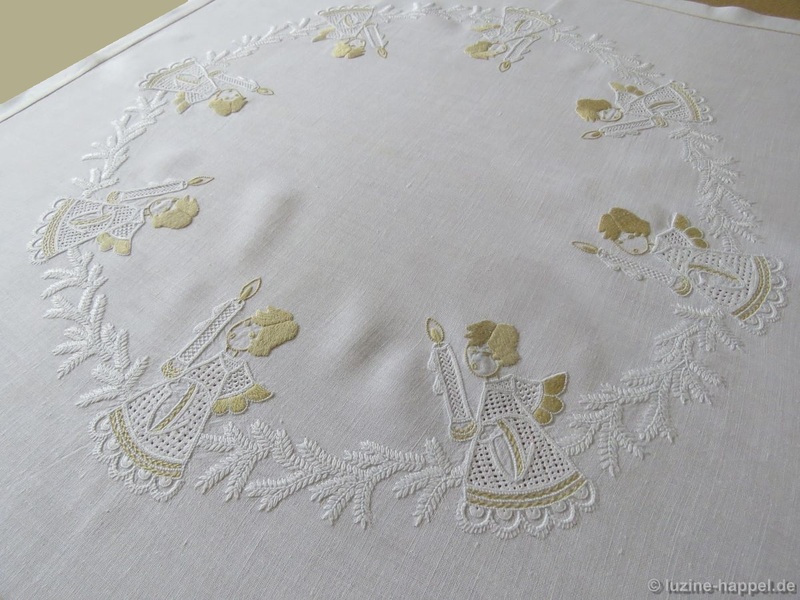 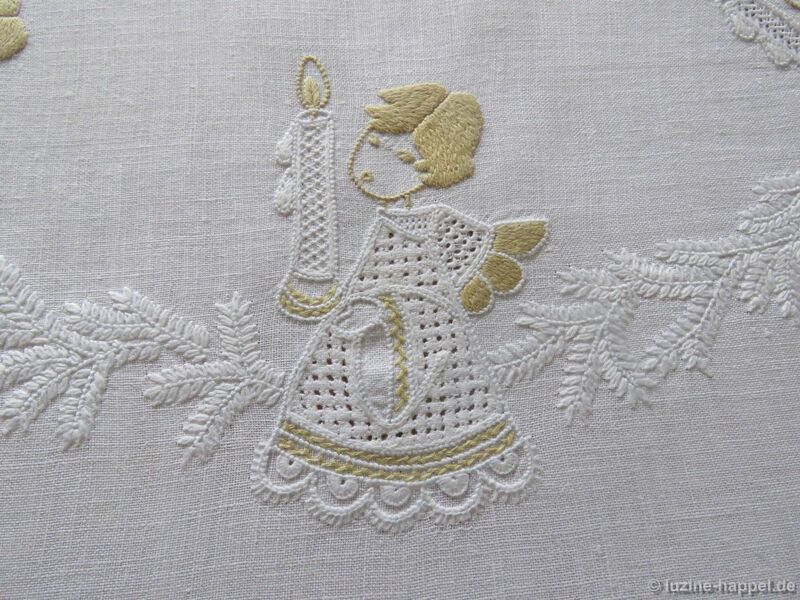 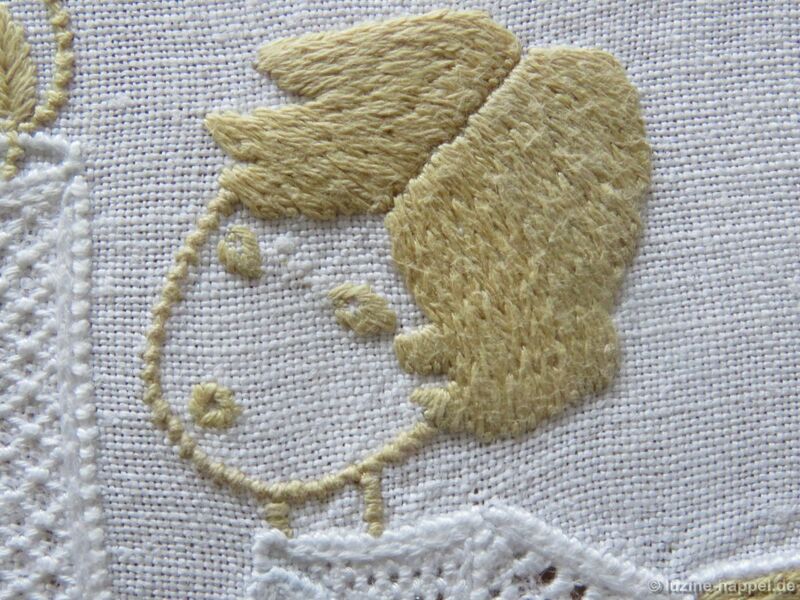 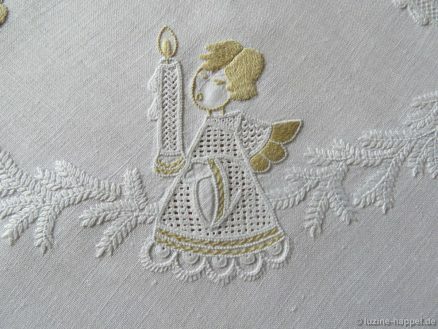 The angel on the bias gets a dress filled with Rose stitches (Basic Principles of Schwalm Whitework) in a grid cut 1, leave 3. 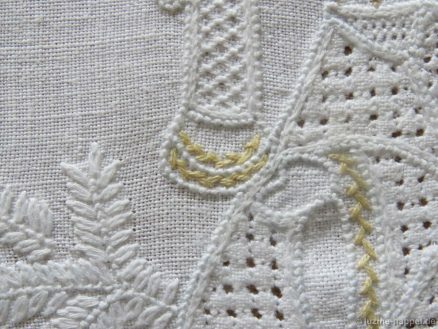 The hems of the skirts are decorated with Herringbone, half-eyelet scallops, and Eyelash stitches. 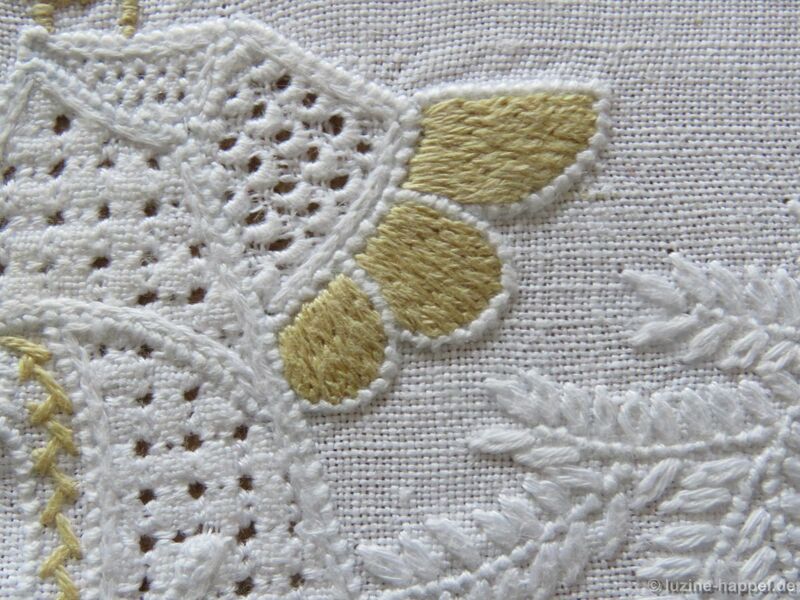 The wings are filled with Plumage (Limetrosen I), and the collars are filled with Four-Sided stitches (Basic Principles of Schwalm Whitework). 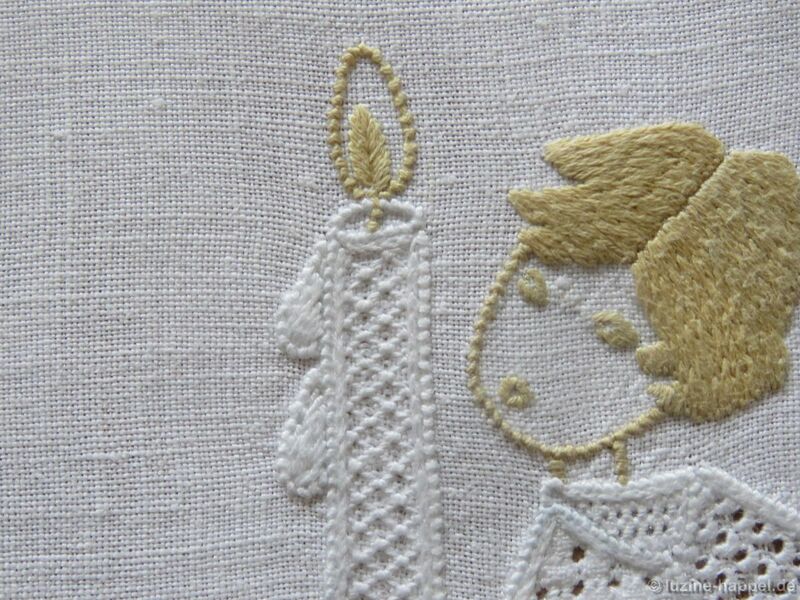 The candles are filled with Honeycomb Darning stitches or with Satin stitches in a stair-step manner. 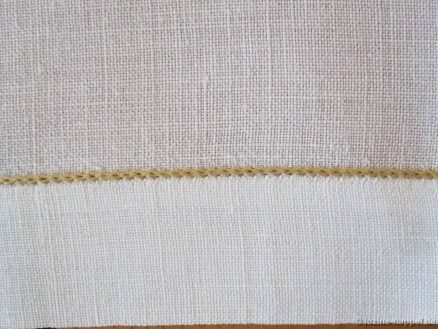 Some parts, such as the hands and the sleeve openings, remain unworked. 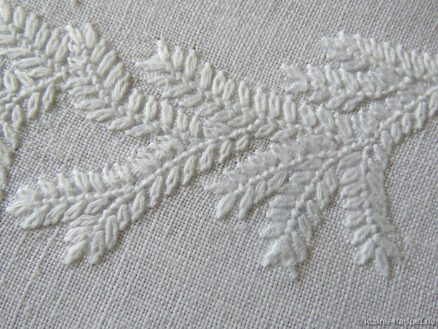 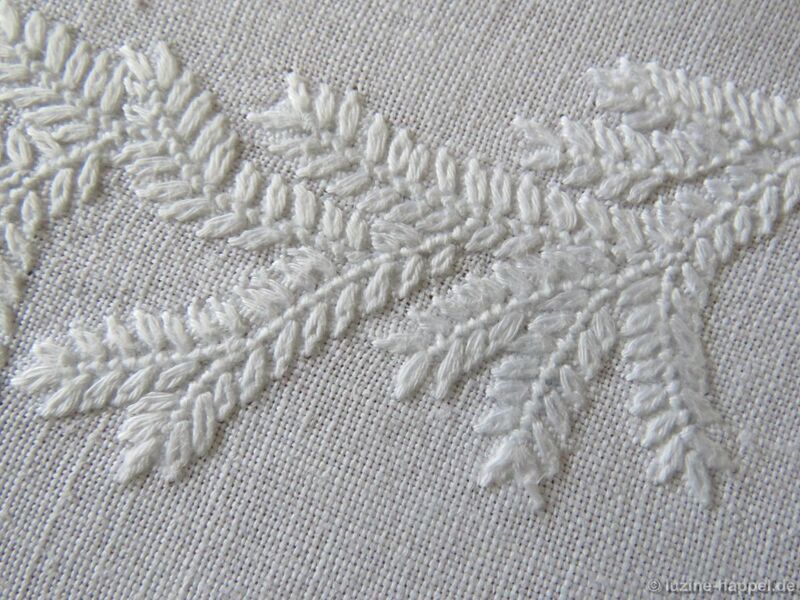 The fir branches are worked with Lazy Daisy stitches. 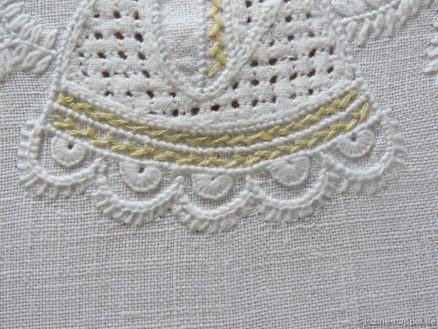 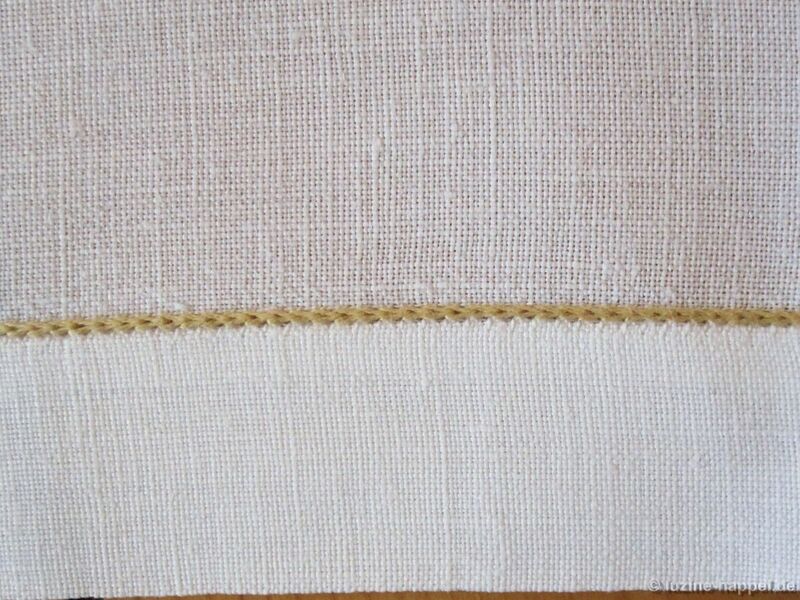 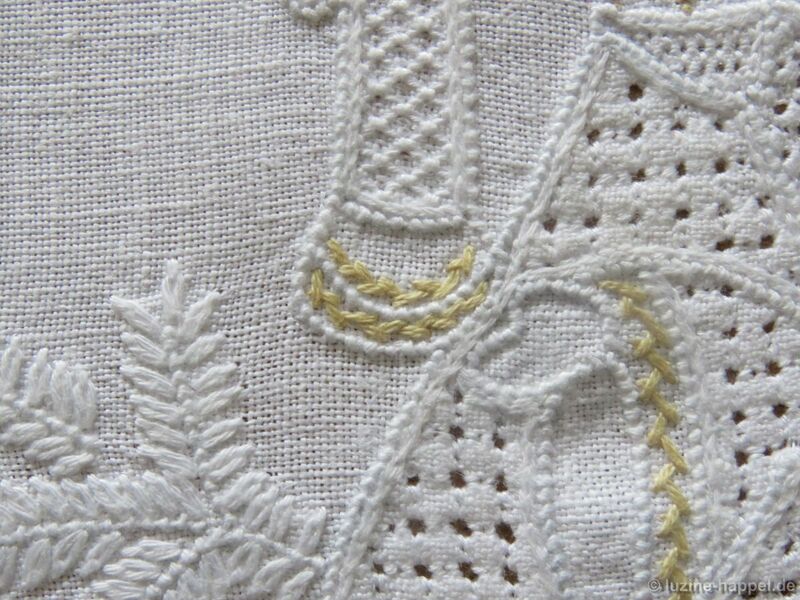 The hem was decorated with one row of Chain stitches on top of the bundles made by Antique hem stitches. 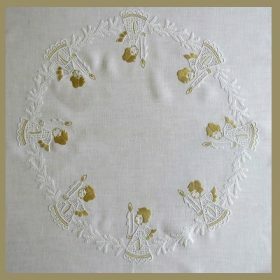 This beautiful wreath design is available pre-transferred on 16 threads/cm Weddigen linen cut to measure 90 cm X 90 cm. 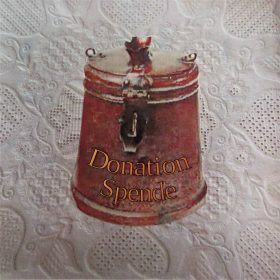 The price is €33.50 (includes 19 % sales tax) plus shipping, or €28.15 plus shipping for customers outside the EU.